“How about Butterflyfishes?” suggests provocative and edgy Robert Fenner (author of the bestselling Conscientious Marine Aquarist) in the next CORAL. Encompassing some of the most elegant and beautiful species of appropriate size for home aquaria, the family Chaetodontidae deserves more attention from reef aquarists willing to sharpen their husbandry skills and perfect methods of keeping these sometimes difficult fishes happy. Look for secrets of finding the hardy species as well as acclimating, feeding, socializing and attempting to breed others. 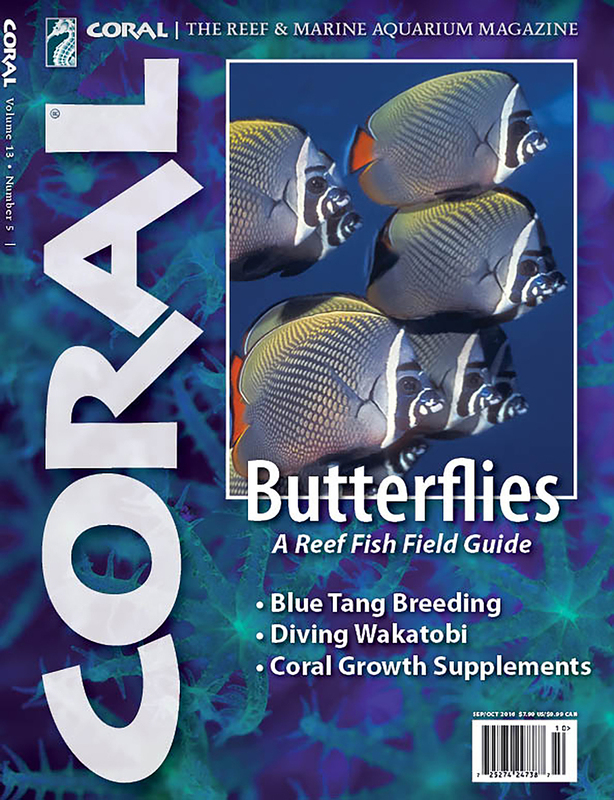 As a field guide to the most important butterflies, this next issue is destined to become a CORAL Classic. PLUS: ultimate reef diving at Wakatobi, a 600-gallon Euro reef aquarium project, choosing marine substrates….